If a music teacher attempts to teach adults and children in the same fashion, odds are that the results will be less than optimal for both groups. Clearly, children and adults are quite different. Developmentally and emotionally, they are simply not the same. Therefore, they will not respond to the same input in the same fashion when you are teaching music. An over the top example would be to give a thirty-two year old piano student a gold star. Yes, that wouldn’t work very well for obvious reasons. While there are clear differences between the young versus older students, the most important factor one must keep in mind is respect. The trick to teaching anyone anything is respect. Respect for the pupil and the subject matter is critical for any real, long-term success to mount. Taking this into consideration, it is important that respect flows back and forth between teacher and student and the material. This part of the process is unusually going to be much easier when teaching music to an adult student. After all, if an adult student really does not respect or like you, they are likely to simply spend their money elsewhere. You probably would not be teaching music to an adult who did not respect you in the first place. With teaching music to a child, the situation may be different. Music teachers (perhaps more than anyone) see the value of learning to play a musical instrument, but a child may not see that value. 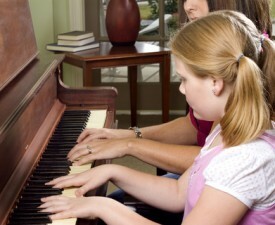 It is possible that a child is feeling forced to take music lessons and this can be a difficult situation. It also marks one of the key differences between teaching music to an adult versus a child. Odds are you would never have an adult student that felt that they were being forced to take piano lessons so that awkward dynamic is removed from the equation. However, this is not the case with a child. One is left wondering how to deal with a child that feels forced into taking music lessons. When you are teaching music, one of the key moves that you have is to make the subject matter as entertaining as possible for the student. One way may be to ask the student if there are any particular songs that he or she may want to learn. Even this simple act may give the child a feeling of empowerment. Having a say of some kind in the process may make a good deal of difference to a student. An adult student will more than likely just come out and tell you if he or she wants to learn to play a particular piece of music. However, when teaching music to a child, you will need to ask and encourage the child to give you suggestions. If a student does not have his or her heart in learning an instrument, then the battle will be uphill indeed, whether you are dealing with a child or an adult. Realizing that your student isn’t completely invested in the process is a good first step towards fixing the problem. With an adult, you may need to address the issue head-on and have an honest conversation about your feelings. But this is not to state that you cannot take moves to try and make the learning process fit better with the personality of a older student as well. Student’s young and old both learn in different ways, and acknowledging this fact can only help the situation. 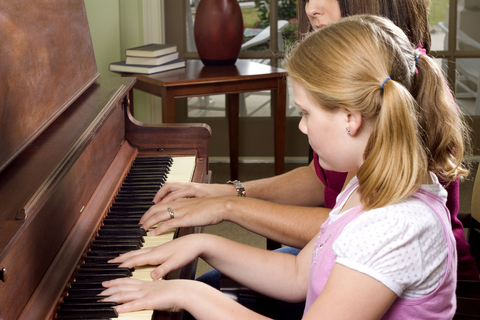 By properly adapting to the perspective of your student, young and old, it is possible to start teaching music more effectively. By that means, you may become a teacher that students come back to year after year.